As with an pre-release Apple hardware, rumors of the 2016 MacBook Pro are making their way through the news cycle. If you believe them all, we’ll be getting the computer of our dreams in a slim, light package about the size of a MacBook Air. But I don’t believe everything I read, and neither should you. Taking all the rumors into account, the 2016 MacBook Pro will be completely redesigned and pack in just about every feature you can think of. Touch ID? Yup, that’s been tossed around. Some claim Apple is trying to squeeze dedicated Touch ID hardware into its new computer, possibly near the top of the device. The overall dimensions of the case are also said to be slimmer. We’ve heard several times that the MacBook Air is serving as a type of reference device for the new Pro. Elsewhere, USB-C is going to be the silver bullet for connectivity moving forward. Apple is believed to be including up to three USB C ports on the new MacBook Pro; the MacBook has but one. There’s also talk that the new MacBook Pro will have a Lightning port. Apple’s reasoning for that may be headphones; it’s believed to be dropping the audio jack from the iPhone 7, so it makes little sense to have it on the MacBook Pro. The new Pro is also said to come in the color-ways of the MacBook: Space Grey, Gold, Rose Gold and Silver. Kaby Lake processors are also likely to be inside. Intel has confirmed it’s now shipping them to OEMs like Apple. We’re not sure which GPU the MacBook Pro may carry, but rumors point to both Intel and NVIDIA as contenders, here. LTE is also being tossed around. A recently discovered Apple patent details methods for packing antenna into the hinge of a computer, which could be for better Wi-Fi as well as LTE connectivity. And the OLED bar above the keyboard? That’s supposed to be some sort of rotating command center. Let’s be reasonable for a second (I know, who wants to be reasonable about rumors for a device so many of us want, right?). Some of this is entirely possible — and probable — but some is utter nonsense. Straight away, I’ll tell you the OLED bar is almost definitely not happening. I’ve spoken to several people ‘familiar with Apple’s plans’ (which is the popular ‘journalist’ term for ‘I have sources but I’m not telling you who they are’) who laugh that feature off. Speculatively, I think Apple would rather keep it simple; the technical and hardware debt incurred with an OLED bar is through the roof, and repairs on the new MacBook Pro likely won’t come cheap or easy. A Lightning port on a MacBook is a silly idea. To my mind, it’s a step backwards; Bluetooth headphones are easy to come by, and very reliable. Adding a Lightning port also confuses data transfer methods (a Lightning-to-Lightning cable for your iPhone? Stupid. ), and having one simply for headphones is a waste of space. To that, the 2016 MacBook Pro will probably be a bit thicker than the Air, and definitely nowhere as slim as the MacBook is. The Pro doesn’t have the luxury of a unified chipset design, and needs to be a lot more powerful than the MacBook. That means it needs to have more upgrade options, which in turn leaves us cobbling off-the-shelf parts together, more or less. LTE is a stretch, too. The antenna patent may not make it into the 2016 Pro, but I doubt Apple is looking to make a connected MacBook. It has gone all-in on tethering to an iPhone, and leaving us with connected MacBooks fragments Apple’s ‘please buy every Apple device’ missive. Touch ID is also something we should probably forget about. Apple recently created a way to authenticate a MacBook log-in via the Apple Watch (please see the ‘buy every device’ line above), which can also be used for Apple Pay transactions on the Web. Using a second device has a lot more avenues than Touch ID for authentication, and keeps us tied to Apple’s ecosystems. So what do we know, and what should we expect from the 2016 MacBook Pro? We know that nobody outside of Apple knows anything. Rumors are not facts, and while exciting — they’re often nonsense or wishful thinking. Consider that Apple has failed to produce a significant upgrade to the MacBook Pro in some time. The last time we saw anything impressive (2013! ), it was a 13-inch device with a Retina screen. Later, we saw Force Touch trackpads. It’s being pragmatic; do you really think Apple will suddenly jump the shark and offer up Lighting connectivity, Touch ID and LTE? I don’t. 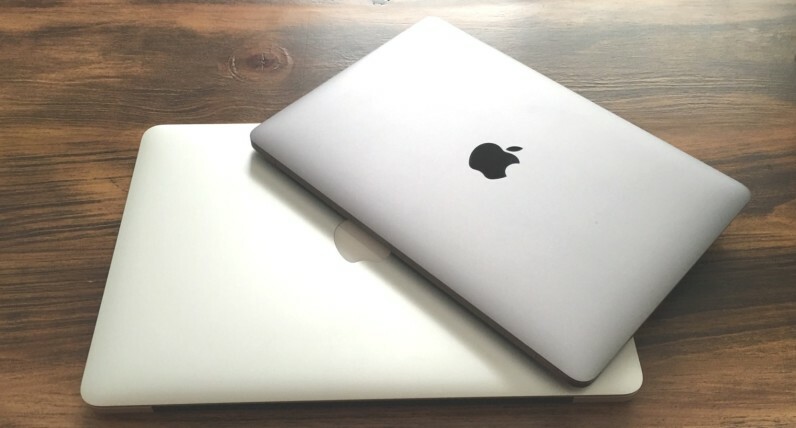 The 2016 MacBook Pro will undoubtedly be a very new and exciting device, but it will build on Apple’s history with the Pro — not alter course for the sake of doing so. Look for a slimmer design with Apple’s new butterfly keyboard mechanism, four USB C ports and a Force Touch trackpad. It will almost definitely have Kaby Lake processors (Apple skipped Skylake for a reason, right? ), a few GPU options (with Intel being standard), and SSD memory (but not a lot for the base model, because iCloud is where it’s at). You’ll almost definitely be able to buy it in several different colors, and it will be more portable than the existing Pro. Apple should also keep the 13 and 15-inch screen sizes, but may increase Retina to 4K on both. Also, I’d be shocked if its P3 color gamut wasn’t involved with those new displays. There should also be some new peripherals direct from Apple. If it wants to make the jump to USB C, we’ll need a solid hub to connect existing peripherals to. Also, cases and other non-essential items should be on offer at launch. The 2016 MAcBook Pro will be better than what you can buy now — a lot better. It just won’t be a unicorn.